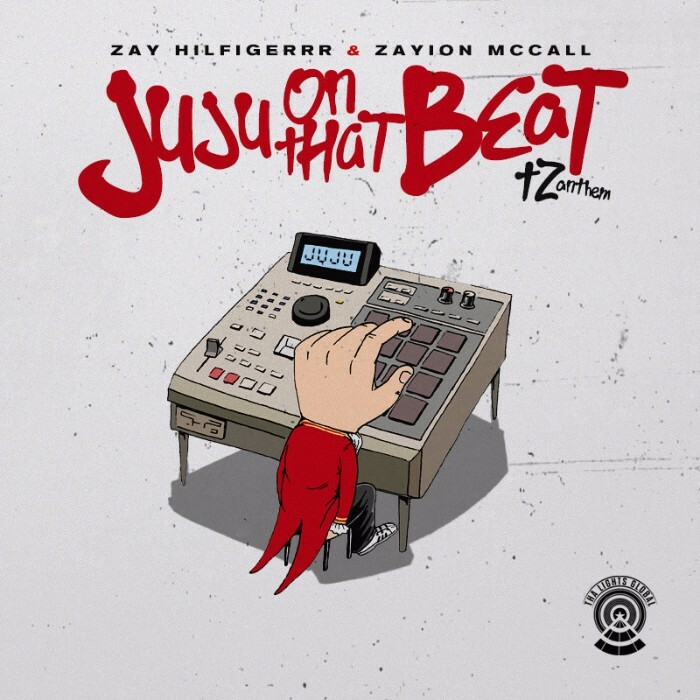 “Juju on That Beat” is a song by American rappers Zay Hilfigerrr and Zayion McCall. The song is a freestyle over the beat of the song “Knuck If You Buck” by American hip hop group Crime Mob featuring Lil’ Scrappy. The font used for the song name on the cover artwork is Year 2000 Boogie by Victory Type. The font is free for both personal and commercial use and You can download it for free here. For the sans serif setting the singer names, it looks like Akzidenz Grotesk Bold Extended. If you do not want to download and install the font but just like to create simple text or logos using Juju on That Beat Font, just use the text generator below. The following tool will convert your entered text into images using Juju on That Beat Font, and then you can right-click on the image to save it or click on the "EMBED" button to get links to embed images on the web.